Two weeks ago, I bought a replacement Tracfone for my mother. 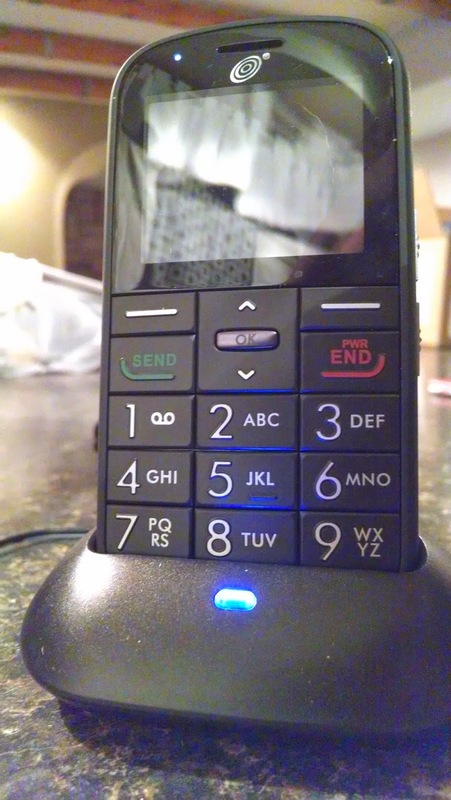 It was a $30 basic phone with extra large buttons. Nothing fancy. I eagerly tracked the package's progress and finally the day came for delivery only, it wasn't delivered. I got the dreaded "Delivery Exception" notice. What the heck? Turns out that their free shipping with FedEx needs a signature for delivery. Not just any signature either. The last name and address have to match the package. Never would I have thought that a $30 phone would need my signature! If I had known that, I would have had it shipped to my work, of course, that probably would have created a new problem since the address would not have matched my ID. I went back to the Tracfone checkout page and found the "signature required" information in light grey text hidden in the bottom paragraphs of other information. I had to call FedEx and ask them to hold the package for me so that I could pick it up after work. Unfortunately, there are no FedEx stores near my work or my house. The closest one was 15 minutes out of my way. Not too bad, but still. I shop online for convenience not to have to drive across town to pick up my package. Then, today, I was supposed to get a box of dog treats. I bought more than usual in an attempt to get the best price. I've never had a problem with delivery before but there was that notice again, "Delivery Exception". Nooo!!! This time they wanted an indirect signature which means I have to sign the paper that they left and they will deliver it tomorrow. Not a big deal but still irritating. I sent the company, Value Pet Supplies, an email and asked about the signature. They replied with a long email that said that their shipping policy is spelled out under the help section and over a certain dollar amount they require a signature. Well, it would have been helpful if that notice was on the checkout page. I could have had it delivered to my work even though I don't really want to hoist a big box of dog treats in to my truck. Now we are back to the "convenience" of shopping online. Is it too much to ask that online stores warn me before they require a signature? Not everyone sits at home all day waiting for their packages. I should use this little inconvenience to help me break my online shopping habit. My dogs don't really need more dog treats and buying in bulk only makes me give them more treats so I'm not saving any money. I like getting packages at my door. I don't think I have ever received a bad package. I get lots of junk mail and bills in the mail but packages are always fun. I'm just going to have to think of some other way to amuse myself. Perhaps something cheaper. My one lousy experience with a delivery policy requiring a signature was with UPS several years ago. I was at work when they tried to deliver something which required a signature and they left one of those post-its giving me a bunch of options. I called them to ask them to keep it in their local warehouse (about a 15-minute drive from me) so I could pick it up because the warehouse happened to be near a place I was visiting the next day. But, they told me, because it was just after 7 PM, they could not alter the delivery schedule for the next day. Seven PM the day before? This meant that I would risk missing their second delivery attempt because I would be less than a mile from THEIR warehouse. Why did they have a 7 PM cutoff the day before, when 7 PM was often later than people like me were getting home from work (this was before I retired) and unable to alter their next day's delivery schedule? Ahh, frustrating! It certainly is difficult to figure out the logistics when they don't make accommodations for the people who work all day.